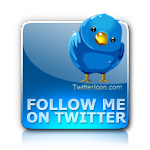 I am currently adding all of the new C.C. Designs February 2012 stamps that were just released yesterday into the store. We have them all on hand and ready for shipping! I will also be adding products from Whimsy, Lablanche, Melissa Frances, the Spectrum Noir Alcohol Ink Markers, and the Paint Fushion line as they have all arrived. I have shipments on the way from Bildmalarna, Stamping Bella, American Art Stamp, Gourmet Rubber Stamps, Prickley Pear Stamps, Wild Rose Studios, and some more Tattered Angels that should all be coming in the next week or two. 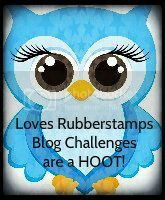 TODAY I thought I would take a quick break because I wanted to share an AWESOME FREEBIE with you and give you some sneak information on our very first LOVES RUBBERSTAMPS BLOG CHALLENGE which I hope you all will play in! Right now in our store our featured stamps are the new STRAWBERRY KISSES Collection from Crafter's Companion. This line will be the inspiration for our first blog challenge! Everyone will be able to play, even if you do not have these stamps. Our first blog challenge will be posted in about a week and a half with full details on the rules and the prizes! In the meantime here is an awesome FREEBIE for you to enjoy from Crafter's Companion that coordinates with the Strawberry Kisses Stamp Collection. 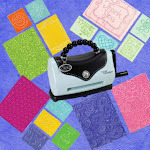 It is FREE background paper and all kinds of embellishments for your cards, scrapbook pages, or papercraft projects. 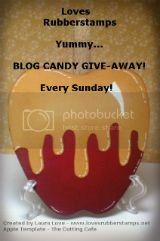 You can even use some of the freebie goodies in your project for the blog challenge coming!